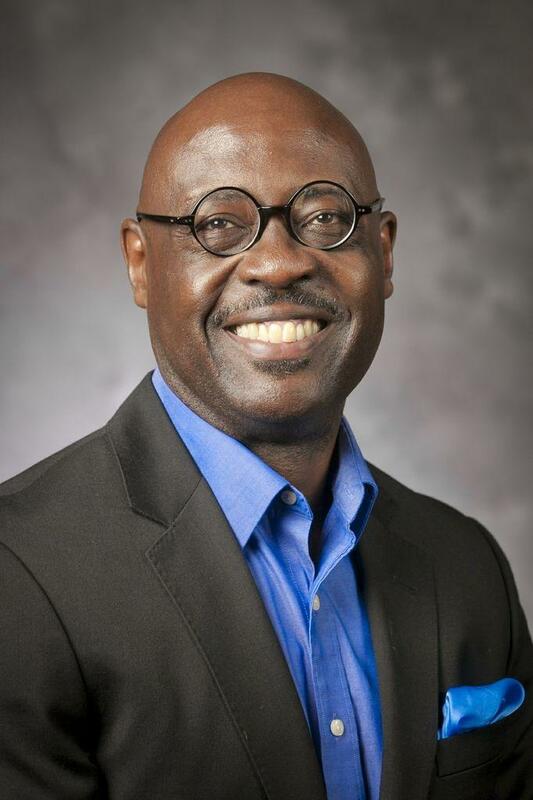 Willie Jennings is an associate professor at Yale Divinity School. Jennings grew up on the Southeast side of Grand Rapids. Now, he’s a scholar at Yale Divinity School, and he talks about dirt a lot. He says dirt is important to understanding each other as people because dirt is what joins us in a place. We may have differences, but we have the land in common. And the land tells our story, if we stop to look. You know the state motto: If you seek a pleasant peninsula, look about you. Forget about what you’re seeking for a minute. Just, wherever you are, look about you. If you’re in a building, look at the walls. If there’s a window, look at the trees, the grass, the parking lot. The land. Just about everywhere in Michigan, even out in nature, you can see how humans have changed things. “If you were here in 1817, Michigan would have seemed an entirely indigenous space." You can see our ideas inscribed on the land. The most noticeable idea that shapes our land is the idea of property. We hardly stop to think about property. It just is. Sure, a person can own a piece of the earth. Just imagine a line. Imagine a rectangle sitting there. Everything inside that rectangle is yours. Take that dirt, do whatever you want. It’s yours. But that idea came from somewhere. It has a history. All the ideas we live with about our land, they came from somewhere. And a lot of them haven’t even been here that long. Witgen is a member of the Red Cliff Band of Lake Superior Chippewa, and author of An Infinity of Nations: How the Native New World Shaped Early North America. A lot has happened in that period, but some people missed it in history class. But that's not the only thing they miss. There just weren’t that many Europeans for hundreds of years. They had little villages in Detroit, in Fort Mackinac and Sault Ste. Marie, and not much else. They saw the rest of the land of Michigan as unsettled wilderness. Unsettled even though there were thousands of people on it. People with political systems, economic systems, and agricultural systems. A wilderness to be taken and tamed. 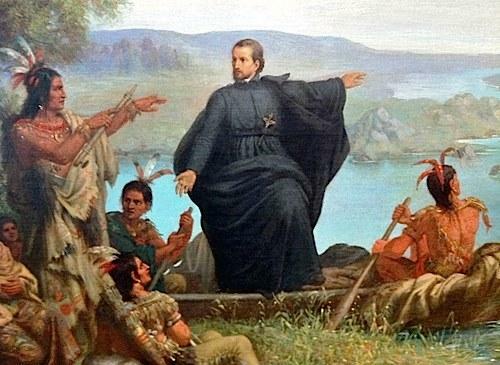 A painting of Jesuit priest Jacques Marquette preaching to the Indigenous people of Michigan. We all know that this happened. The Europeans came in; they did what they did. But why did they see the land that way, and why did they see Native people that way? Those ideas came from somewhere. Willie Jennings says a big part of those ideas came from the Europeans’ distorted understanding of the Bible. It was also important who they believed they were, and who other people were not. They were the white people. And that combination, Christianity plus whiteness, shaped the New World, Jennings says. He’s studied and written about this history a lot. He wrote a book called The Christian Imagination: Theology and the Origins of Race. Jennings says whiteness should not be thought of as a person or as group of people. At first, it was a harmless way for the Europeans to designate people in a land where not everyone looked the same. And why did they seize it? Because they believed it was already theirs, as white people, the chosen people of God. Private ownership of land. That idea we don’t always think about, but that shapes our entire experience of the land. Jennings says it even shaped the history of why so many Europeans came to the Americas. Because here it was possible for common people to be landowners, not just tenants of the aristocracy. That hope of land ownership is what brought many Europeans to the shores of the New World. You can see why it would be so tempting. Tomorrow, the series continues with the story of the Supreme Court case that set the precedent for indigenous property rights in the U.S.